Flocking.me – Twitter's search function can be limited if you are looking for something related with your friends tweets. Flocking.me is a Twitter-based app that solves this problem by letting you search tweets from only the people that you follow. Read more: Flocking.me: Search Tweets From Only Your Friends. Bitly.tv – is an online video portal from popular link shortening service Bit.ly. It shows most popular web videos in real time. Videos are aggregated from various video sharing websites such as YouTube, Vimeo, MTV and FunnyOrDie. Read more: Bitly.tv: Watch latest & most popular web videos from around the web. BetterTalking – If you have a phone interview coming up and are looking for practice, BetterTalking.com offers you a way to test yourself and practice interview questions over the phone. Simply give the web application your name and email address and you'll be given a phone number to call. Call the number and an automated system will ask you some default interview questions. Read more: BetterTalking: Lets You Practice Interview Questions Over the Phone. Flexamail – Flexamail is an email based service that lets you access popular sites like Facebook and Twitter right from your inbox. No need to open a browser window! By turning your inbox into a browser, Flexamail lets you bypass restrictive corporate firewalls and surf the web via email. Read more: Flexamail: Access Web Via eMail. Cyclur – The only thing better than an RSS widget is a customizable RSS widget. Cyclur lets you create a customizable RSS widget for website and embed it on any webpage you want. Read more: Cyclur: Create a Customizable RSS Widget For Website. But that doesn't stop us from using alternative search engines to search for people, does it? Let's look at 5 alternative search engines that work better than Google when you are searching for people online. As you can see in the screenshot above, you can search via name, email, username and phone number. A simple search of my name revealed some of my online profiles (LinkedIn, Windows Live), several blog posts and webpages with my name, and surprisingly, all of the online avatars I've used on various social networks. Similarly, a search with my username ScepticGeek also returned relevant links to all the social networks where I use that username. If you think having pseudonyms as usernames protects your real identity, this can be an eye-opener! 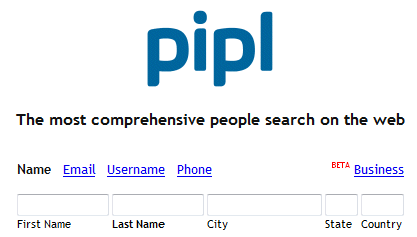 For more, let Karl show you how to Find A Lost Love or Friend with Pipl. For more information about how YoName can help you find lost friends, check out 3 Ways To Find People With Social Search Engines. Most of us can clock 80–90 mph on a highway, but how many of us can handle a breakdown and change a car essential like an air filter? Some of us perhaps…but not all. It's just like cruising on the information superhighway on our computers. Not everyone has an idea of what goes on under the hood. It's not needed of course, but just like a broken down car, you would rather repair it yourself than push it. Especially if a mechanic (read, a support guy) is not close at hand. Even if the support helpdesk is just a dial away, knowing the innards of your computer is just as important as knowing the software you are working on. Unlike cars, computers need constant updates of both software and hardware. For the sake of efficiency, updating these should be a matter of routine. Take for example, moving up from Windows Vista to Seven…does your computer hardware support the new OS? Or would it do better with some drive upgrades? These are very basic tasks and thankfully, we don't have to consult a thick manual to see this through. Single click solutions are available which can analyze pc systems and give us a brief on our hardware and the changes that can be made. Ma-Config is an online tool that does two jobs for us – it analyzes your pc and identifies the hardware and software components (also up to 10 shared PCs). 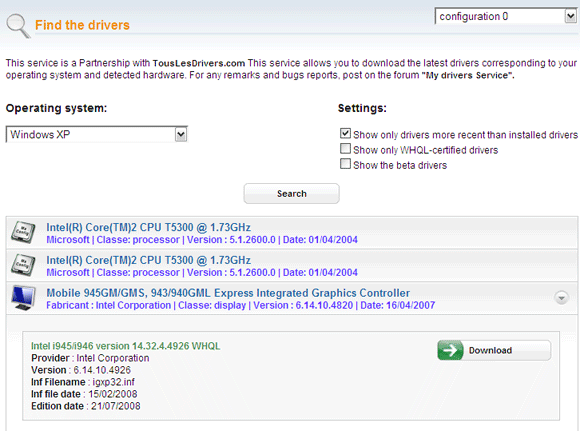 Secondly, with a few clicks, one can download all the latest drivers matching the hardware configuration. Ma-Config does all the driver detection using a downloadable ActiveX plug-in. The free service is Windows only and is certified by VeriSign. The plug-in is compatible with all the major browsers like Internet Explorer, Opera, Chrome, Firefox and Safari. The driver database is provided by TousLesDrivers. Ma-Config makes it easy for both the starter guy and the experienced hand. There is nothing complicated to install apart from a little plug-in to start the process to analyze pc systems. 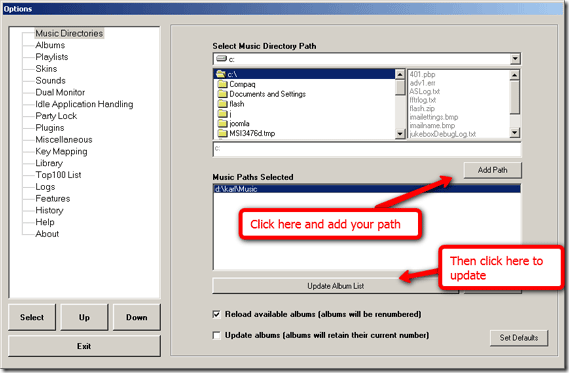 Ma-Config moves the process towards the download of the newer drivers and also gives us a few more steps to consider like sharing your configuration or recording it in a PDF document. Before starting the detection you can change a few of the settings via the Settings link given on the left hand side menu of the homepage. The settings relate to the detail of the detection. For those not comfortable with the terms, the default settings are good enough. Click on Start the Detection to bare the large green button which tells you to run the detection. 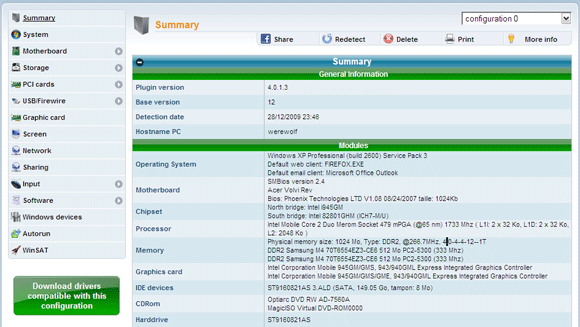 The plug-in will analyze the PC system and generates the report summary. Click on the devices list on the left menu to get the finer details. You can redetect your system anytime with a click. If you now want to update your PC, the large green button marked with Download drivers compatible with this configuration, takes you down that path courtesy of TousLesDrivers. As asides, you can share your configuration using a link or with an email. Or maybe take out a PDF report and mail it directly across. The PDF report comes in quite handy if you want to send it forth to a vendor or the support technician. Ma-Config also has an offline mode whereby you can use the plug-in on a computer not connected to the internet, run the scan and save the results. The results can then be analyzed on another computer with an internet connection. Ma-Config is a web tool and like all web based tools it prevents us from installing a bulky program. The only minus is that some parts of the website are in French. Though, the English version makes everything as easy as tea and biscuits. But it could be one of the simplest going around. But we would like your opinion on that. Go over to Ma-Config and do let us know. Let’s cut to the chase and begin with the basics. Do you know the common screenshot keyboard shortcuts? If not, this would be a good time to memorise them. Command+Shift+3 – Takes a screenshot of the entire screen. Command+Shift+4 – Allows you to take selective screenshots. Command+Shift+4 then hit Spacebar – Takes a screenshot of the highlighted window/area. Command+Control+Shift+3 or Command+Control+Shift+4 – Takes the screenshot and stores it on the clipboard. 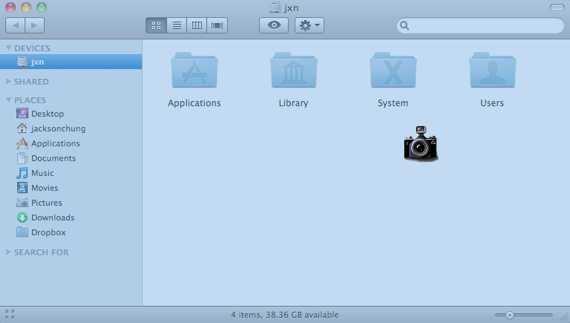 By default, the screenshots are formatted as PNG images and saved to the Desktop. 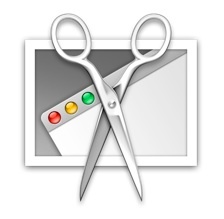 Today, we will look into a few tricks to modify how Mac OS X deals with screenshots. PNG is a a fantastic image format with great quality but I have quite a lot of friends who run Windows and they have no idea what to do when they get a PNG in the mail. To change the default image format to JPG, here’s what I did. You’ll notice your menubar refresh itself, then you know you’ve done it right. Try it out. The supported image formats are: JPG, PDF, GIF, TIF, BMP, PNG and a couple of others but these are the most popular. Captured screenshots are automatically saved on the Desktop. This is great except when making screenshots is a staple of your job, like mine. In this case, I would much prefer then screenshots to be saved in a folder within a pre-defined location, rather than litter my desktop. 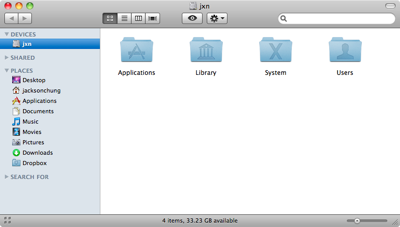 Keep in mind this modification will only work if the destination folder exists i.e. if the “Screenshots” folder was deleted, the screenshot won’t be saved and there will be an error instead. By pressing Command+Shift+4 then hitting Spacebar, you can automatically grab a screenshot of an entire window and its shadow. It looks very pretty but the image won’t save well in JPG because of the shadow’s transparency. Without the shadow, the image is more clean-cut and it can be saved as a JPG. It also saves you a lot of time from cropping. Did you already know the tips above or was it all a learning experience? What other “hacks” do you use to modify your screenshots? Tell us in the comments. According to an article on the AARP website, a simple daily exercise of walking “can reduce the risk of many diseases — from heart attack and stroke to hip fracture and glaucoma.” As someone who sits at his computer throughout the day, I can often feel the fatigue of not getting enough exercise. When I do manage to walk or ride my bike on a regular basis I feel and sleep so much better. There are many recommendations for how much walking or running should be done on a weekly basis, but on average, at least eight miles a week is a good healthy start. And so that’s one of my goals for next year. 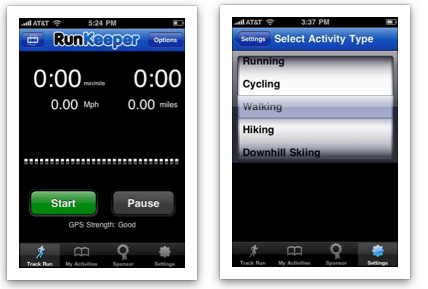 To help monitor my exercising goals, I plan to use one of the best selling iPhone apps called RunKeeper. I downloaded it the other day and was instantly impressed by its design and ease of use. 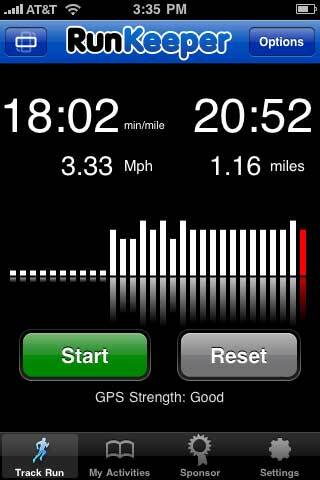 RunKeeper is a fitness tracking application for both the iPhone 3G and 3GS. It uses GPS technology to record the amount of miles/kilometers you walk, and for how long. When you first run the application, you can set up an online profile which keeps track of your fitness exercises using the app. This is clearly a useful feature to set exercise goals, especially if exercising is something you tend to put off. You just need to do a couple of things to set up the device. After providing an email and password, you will receive an email confirmation which links to your profile on the RunKeeper site. 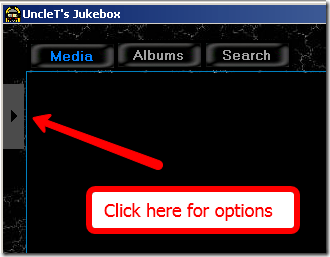 Like most Web 2.0 sites, you can set up your profile and create a personal URL, as well as connect with your Facebook account. Getting started is simple. Open the application, and make sure that first Wi-Fi is not running. Typically if you’re outdoors, this probably will not be a problem, for your iPhone will switch to 3G anyway. The last thing you want to check is how good your GPS strength is. Typically, if the sky is not very cloudy and you’re not running in a basement, the strength should be good to excellent. I walked with my iPhone in my front jacket pocket and the GPS strength remained good. The developers also suggest that if you put your iPhone in your pocket while it’s running, to use the top lock of the iPhone to sleep the screen so the apps button won’t get accidentally pressed. You can listen to your iTunes music while running the app, but like other apps on the iPhone, RunKeeper can’t run in the background with other apps open. You can click pause if you need to, and if your phone rings during your fitness activity the app will automatically pause. The beauty of an app like this is the tracking data, for which you can look back on your progress. 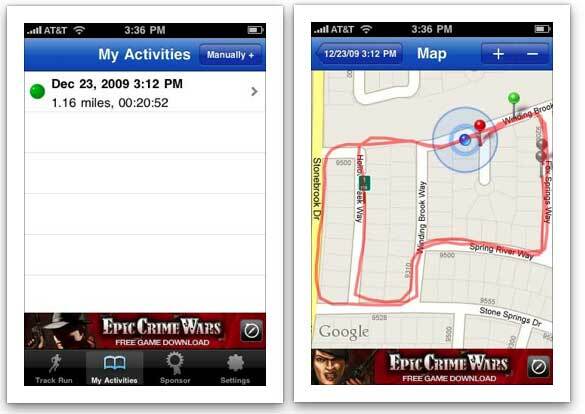 The tracking features on both the app and the website are very well designed and minimal. Even the banner ad running on this the free version of is un-obstrusive. With the GPS technology, you have access to both written and visual data of your fitness activities, including a map of the streets or area you walked, ran, or rode your bike. It sort of makes the app fun to use. You feel guilty if you click your activities page on the app or your profile and see how you haven’t been exercising. There’s an ad-less Pro version of the app, which, among other things, integrates with your iPod playlist to start up automatically every time you start tracking a new RunKeeper activity. For the non-athletic pros like myself, the free version will suffice. Plus, RunKeeper means I don’t have to shell out money for a Nike-iPhone 3Gs set up that basically does the same thing. Do you use Runkeeper [iTunes Store link]or do you have a preferred alternative? If so, let us know about it in the comments. Photoshop is a heck of an amazing software. You can do all kinds of things with images and go as far as your imagination can take you. Once you are past the beginner level and understand what the various options are for and how they work, then you are ready for Photoshop tips and tricks like the ones that are the topic of this 2 part article. 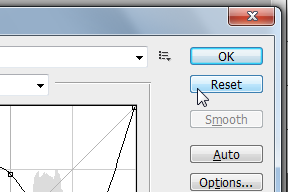 If you are even the slightest bit serious about Photoshop or you have used the Brush tool a couple of times, this single tip is worth at least a dozen alone. 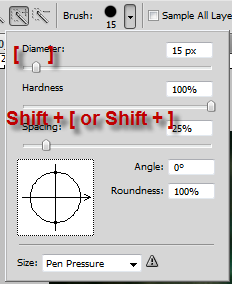 While you are using the brush tool you do not have to go back to the options palette to change the brush size or softness. Left bracket key ‘[' decreases the brush size and Right bracket key ']‘ increases the brush size. Similarly Shift + [ decrease hardness (makes the brush soft) and Shift + ] increases the hardness of the brush. 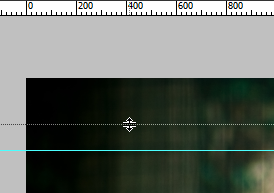 You might have noticed that the background layer has a little lock icon besides it. This indicates that the layer is locked. You can quickly unlock the background layer by double clicking on it, or Alt + clicking on the background layer or simply catch hold of the lock and drag it to the bin at the bottom of the layers palette. Duplicating a layer can be very useful when saving selections or when you are unsure about the sequence of adjustments that you will be making. You can drag any layer onto the New Layer icon at the bottom of the Layers palette to duplicate the layer or you can select the layer and press Ctrl + J. More often than not, you want to apply the same layer styles to two or more layers. 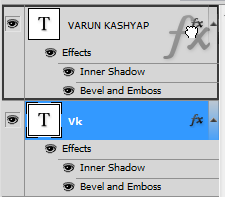 You can remember the settings or trust your eye and go on applying layer styles one by one or you can hold down the Alt key, click and drag the “fx” icon onto the layer you want to duplicate the layer style on and you are done! Oh, I remember a few more. However, let’s just save them for another time in part two of our series. Meanwhile let us know if you have any Photoshop tips & tricks of your own! WinPatrol has always been one of my favourite pieces of free software. It was one of the first things I wrote about when I joined MakeUseOf back in 2007 and it also made my Mark Pack exactly one year ago today. It’s one of those security apps that you can always depend on and it has stopped many an intruder from sneaking onto my computer without my knowledge. Now there is a portable version of the Windows-only software called WinPatrolToGo and this is good news for me. I am increasingly using more portable USB software as I jump from computer to computer and I am also getting asked a lot to help fix peoples computers. In these situations, apps like WinPatrol are your best friend. One of the best functions of WinPatrol is being able to easily control the Start Menu programs. It’s not good for your PC to have too many programs starting when you boot up, so using WinPatrol, you can enable and disable each startup program at will. As the screenshot above shows, you can see the name of the startup program, its command (what it will look like in the Windows Task Manager) and the company it comes from (for easier identification). I would recommend not touching any of the Microsoft programs as you never know what disabling them will do to your computer but you can skim through the other ones and disable any unneeded ones. For example, you don’t need your chat programs launching on start-up. One of the best features of the Startup Programs tab is that, if you keep WinPatrol constantly running in the background, it will shoot up a warning window on your screen if a software app tries to covertly add anything to your startup programs section. It will also warn you if any of your file associations have been changed with the option to change them back again. iTunes is a BIG offender at secretly changing all of your media file formats and thanks to WinPatrol, I am always able to quickly and easily change the files back again. ActiveX - shows a complete list of all the Internet Explorer ActiveX controls on your computer with the ability to disable any of them if there is a security vulnerability but no patch. You can also filter out all the non-Microsoft entries for easier reading. IE Helpers – some programs, when installed on your computer, also install “helper” buttons on your Internet Explorer toolbar. You can use the IE Helpers section of WinPatrol to remove any of these buttons. Scheduled Tasks – as the name suggests, it lists all the tasks currently scheduled by Windows Task Scheduler. Using WinPatrol, you can get details about each one as well as cancel and remove them if necessary. Services & Active Tasks – these tabs show you all the running services on your computer and again, you can filter out all the non-Microsoft ones for easier reading and navigation. You can close any of these services from these WinPatrol tabs but again, exercise extreme caution. It may look like a lot of programs but each one (at least the Microsoft ones) probably have a very important function to play in the running of your computer. 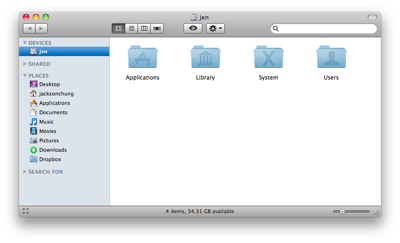 Hidden Files – again as the name suggests, this tab shows all the files marked as “hidden” on your Windows system. Again, use extreme caution deleting any of these files as a lot of them are probably needed by Windows in order to function properly. If you combine WinPatrol Portable with CCleaner Portable, then you will have two powerful tools to keep your Windows system clean and tidy. WinPatrol should be on everyone’s computer. I have a ton of old machines with Windows 2000 and Windows XP on them. Some of them aren't even that old or slow. I see plenty of Pentium 4 machines in the bunch so I want to repurpose one of them as a music jukebox. 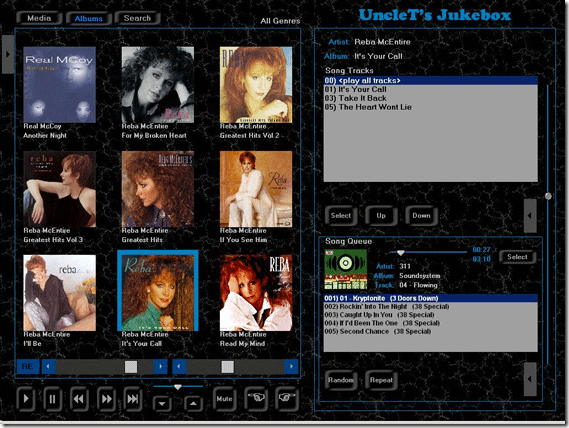 A jukebox is something I grew up with in our pool hall and recreation rooms. The newer ones have CD's in them and the older ones played records. Ours is going to play MP3's. 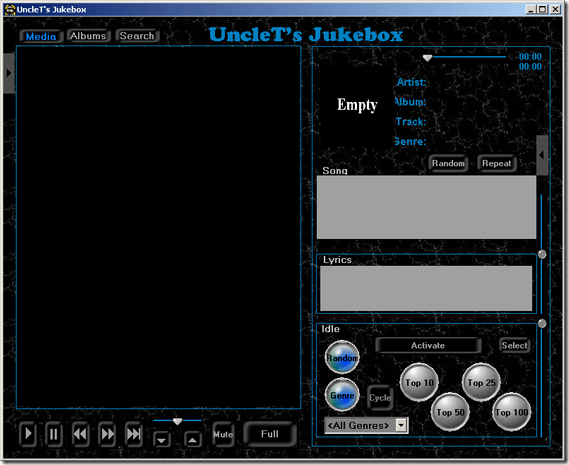 Are you excited to build your music jukebox? I am!